It's been awhile, but we have some new achievements/updates to existing achievements. Gerrak has details and will put them here soon! Perform a decisively ‘freestyle’ routine, as considered by the dance games community, at any PNWBemani public event, in the presence of at least a few community members and spectators. This achievement was formerly for a single tournament some 4+ years ago. It is now earnable at any tournament or other event that is posted on the forums (that is, public PNWBemani events and tournaments)! Basically if you want the achievement, then just bust a move at a tournament with some people around! This should obviously be a reasonably energetic and fun freestyle though, and certainly no bar allowed! 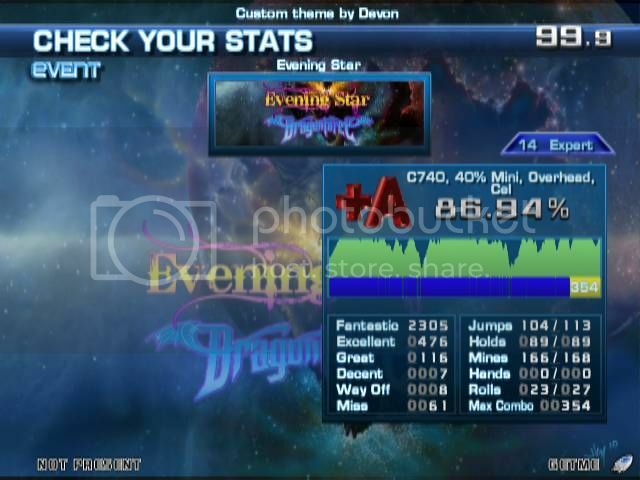 Write at least 5 (non-trolling) stepcharts to distinct songs, each with a difficulty of at least 6, and with a combined difficulty of at least 36, and submit them to the community for play. I will let you guys figure out why we chose this minimum and sum, but suffice to say, this is an achievement designed for those outstanding individuals who continue to perpetuate the livelihood of dance games with new songs! Non-trolling is defined as follows: The song must be reasonably correctly rated, and must be considered passable with at least a 98+. It should be noted this does not say “someone in this region can pass it with a 98+”, in the event of, say, someone writing a 15. It should also be noted that “gimmicky” does not generally imply “trolling.” The definition should sort this out. Should there be a dispute on this matter, it falls in the hands of the Moderators to decide. 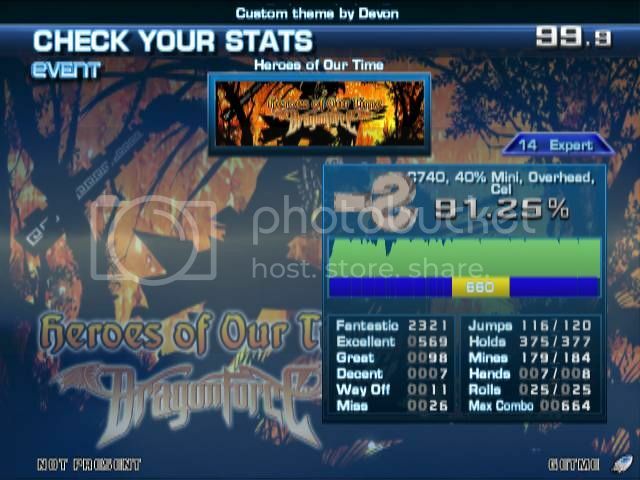 Pass, with at least an 80%, all three 13s, and all seven 14s in the Dragonforce Pack. This is a most serious endeavor, and one that has given some of us great motivation; I hope a concrete achievement will encourage some others to aspire to the task! The order in which I personally would recommend attempting these ten charts (that is, what I feel their order of difficulty) is: “Strike of the Ninja, Reasons to Live, Above the Winter Moonlight, Evening Star, Revelations, E.P.M, Prepare for War, Heroes of our Time, Heartbreak Armageddon, Heart of a Dragon.” And when we have enough people with the Force of the Dragon we can maybe finally stand up to those with the inconceivable power of the Noble Moose. 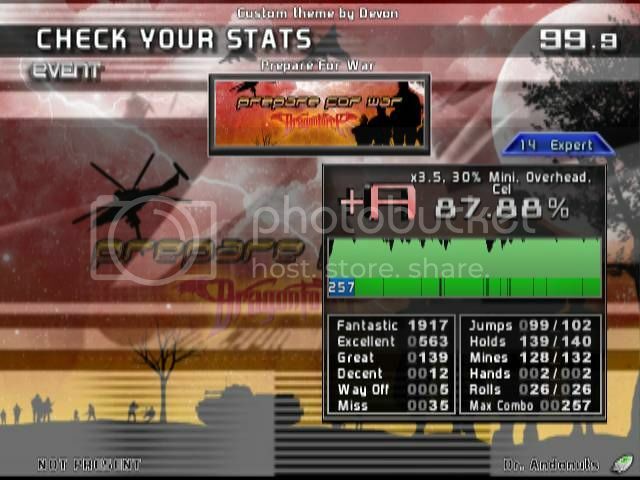 Pass a decisively 14-difficulty song with at least a 90%, obtain at least 3 distinct Quad-stars on ITG, at least one of which must be an Expert 9+, obtain at least 3 distinct Full-Perfect-Combos (Proper AAAs) on DDR on “Heavy” difficulty, and place (1st-3rd) in at least 3 tournaments consisting of at least 8 Expert-level players. 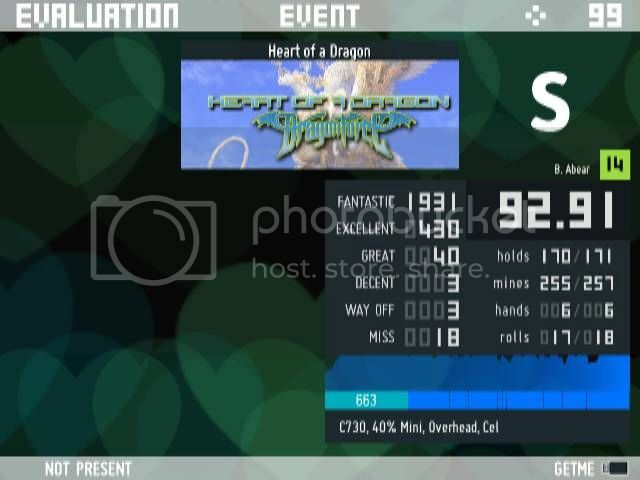 Believe me when I say I would have loved to submit very specific requirements on this, such as specific songs to 99%, AA Bag on 1x, etc., however that could generate and endless debate and we felt this was a good enough indication that a player can do very hard songs and do very well, have amazingly good timing, and are reasonably involved and competitive in the community. We discussed the possibility of 5-Panel Mastery as well, and at this time we are unable to specify “good enough” and comparable criteria, however this may be addressed in the future. 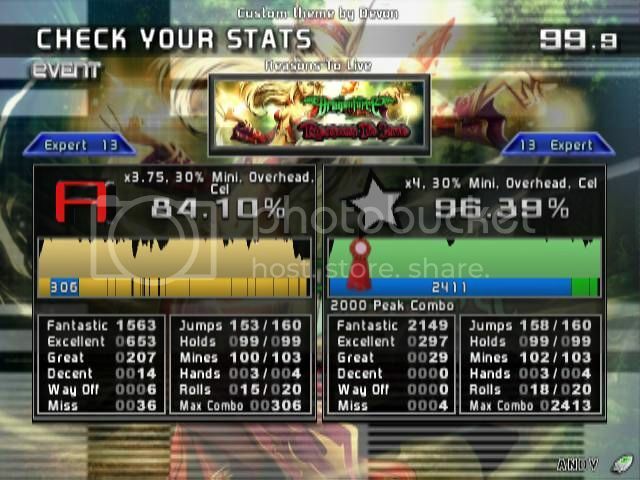 To clarify ambiguities, an “Expert-level player” is any player that can pass at least one “official” ITG chart on Expert-mode. Admittedly, many charts are misrated; a “decisively 14-difficulty song” must be agreed as a 14 by a current “Master,” that is, if a Master considers a song actually a 12 or 13 which is misrated a 14, it doesn’t count and you have to keep working on it! In addition, any 15 currently on the Acme machine automatically counts as decisively at least a 14, and hence any player who 90%’s any 15 fulfills this requirement without need for approval. Should there be any further dispute, it falls to the Moderators to decide. If you need a good benchmark, I personally believe Chromatic Blitz is about the easiest song that should still be considered a 14. And really if you can 90% an actual 14 you should be able to 90% at least several different 14s, so this really shouldn’t be an issue. I hope these achievements provide a fun new challenge for any who want to earn them! Or for those who have already earned one or more of these, let it be known! Happy dance games! 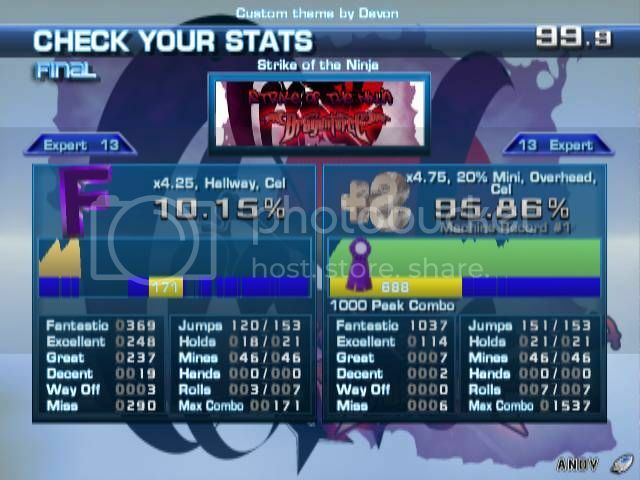 To clarify ambiguities, an “Expert-level player” is any player that can pass any “official” ITG chart on Expert-mode. Admittedly, many charts are misrated; a “decisively 14-difficulty song” must be agreed as a 14 by a current “Master,” that is, if a Master considers a song actually a 12 or 13 which is misrated a 14, it doesn’t count and you have to keep working on it! In addition, any 15 currently on the Acme machine automatically counts as decisively at least a 14, and hence any player who 90%’s any 15 fulfills this requirement without need for approval. Should there be any further dispute, it falls to the Moderators to decide. 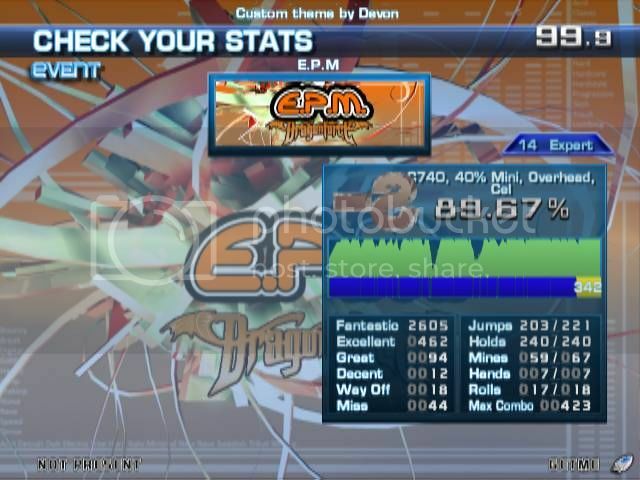 If you need a good benchmark, I personally believe Chromatic Blitz is about the easiest song that should still be considered a 14. And really if you can 90% an actual 14 you should be able to 90% at least several different 14s, so this really shouldn’t be an issue. Does Washington even have 8 "Expert" players who can pass any official chart? I don't mean to critique every detail, but this seems impossible when I've never seen a local tournament where over 5 people there could pass Vertex² on that difficulty. Any official chart, not every official chart. This means if you can pass even a single 9 on Expert, you are an Expert-level player. This was meant to be a very loose requirement/clarification, not a strict one! I've modified the wording above now to better reflect this! Also sorry the banners look a little blurry above, they were scaled up slightly from the actual size, which is that of those on the left. I think I qualify for this? So... This is still a thing! Can we have an admin award appropriate achievements please? This has been asked at least a half-dozen times over the last year and still hasn't been done. And many many hard-working and deserving players are still waiting. Or else I'd be happy to take over the responsibility since it seems neglected. Gerrak, were you just reaching out to Laura to help? I haven't seen anything from you regarding updating these. 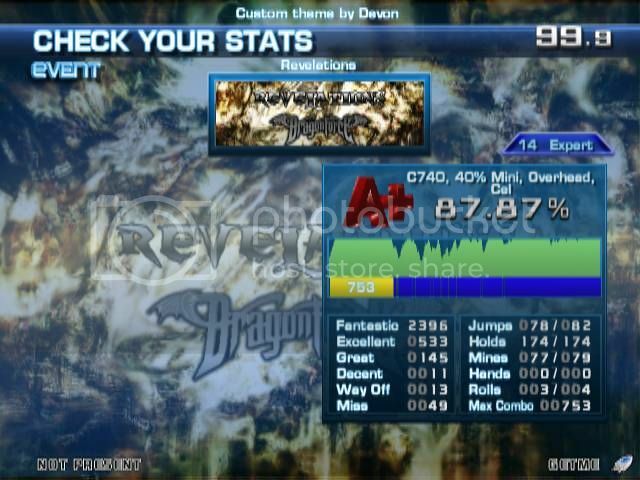 Would I qualify for the Dragonforce achievement? I've done all the 13's and most the 14's...not all of them, I think I'm still missing Revelations and E.P.M... However, I do have several 15's! Does that count or do I have to pass the all the 14's to obtain this achievement? One more thing! Am I getting the 1st Place achievement for placing 1st in Gerrak's Recommended tournament? I haven't seen anything from you regarding updating these. 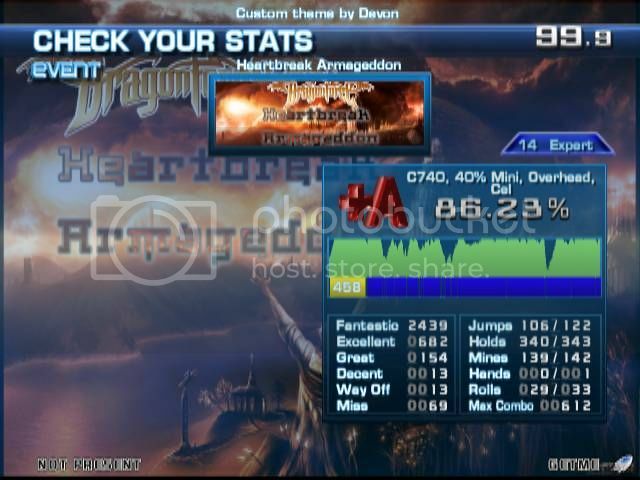 The reason I was reminded to bring it back up was because I wanted you to be awarded the Dragonforce achievement for your recent valor. Also Keby and Tuan are supposed to have it too... And yes, you should be getting your 1st place achievement eventually as well. Hello friends! I have spoken to Jonathan and we have resolved the issue with achievements! So I'm happy to say the following achievements have been finally awarded! 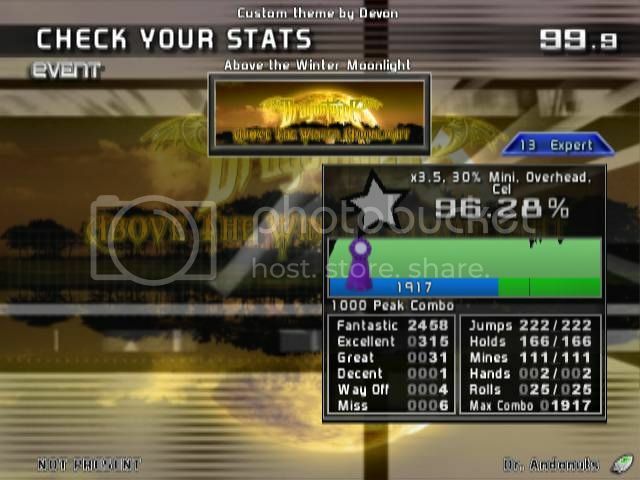 If I can get one more, could I get stepchart artist? Ah of course! You have a whole pack on the machine! So I was wondering if I qualified for master? 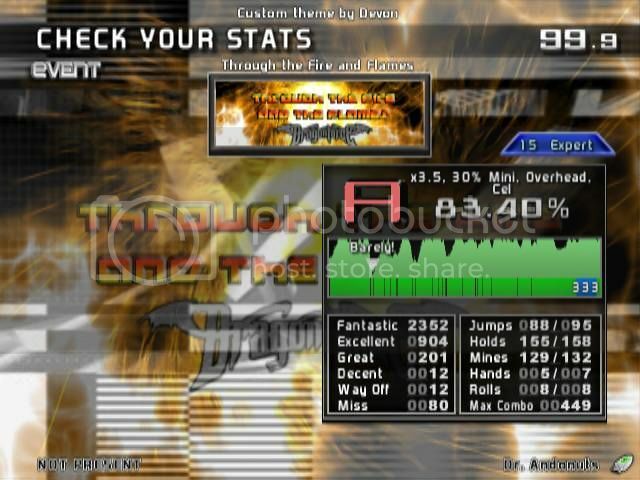 My highest score on a 14 is 99.20 and I've gotten well over 90% on 15's. I now have over a dozen quad star's including two 10's and one 11. My first major tournament win was at fandemonium For a DDR Max 2(arcade cabinet) tournament that had over 12 expert players and I took first. My third was taking Third at Try to Quad 2. Well then, unless there will be some kind of event in Portland, it looks like I won't be able to get this achievement anytime soon, even though I freestyle much more often than most players these days . . .
A Master you clearly are, sir. Your valor has been duly rewarded. I would suggest you check over (or complete if you want a challenge) the Dragonforce requirement also. Well you could make the pilgrimage up here to an event, such as upcoming SPERGIN or next year's Sakuracon; or else I thought there were some forms of organized hangouts around the area anyway. It doesn't have to be a *major* event. You can add a new member to the team! Beast mode!!!!!!!!!!!!! And all these are older scores. Sorry for the delay. You sir have been duly awarded, and good work. Hello! Can I have US Power Squadron plz? I also vote Allan make a Pendulum Achievement! I second that!! !Allan we need a Pendulum achievement.